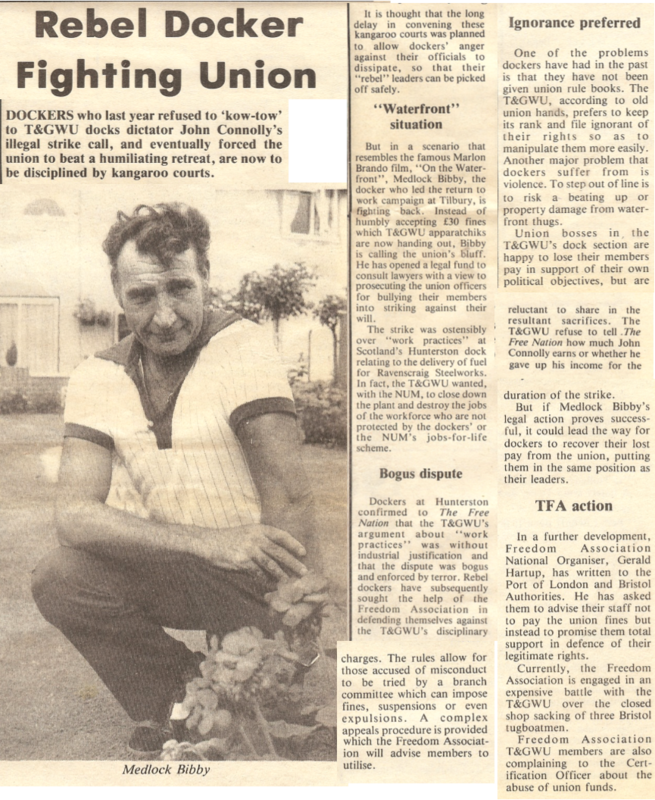 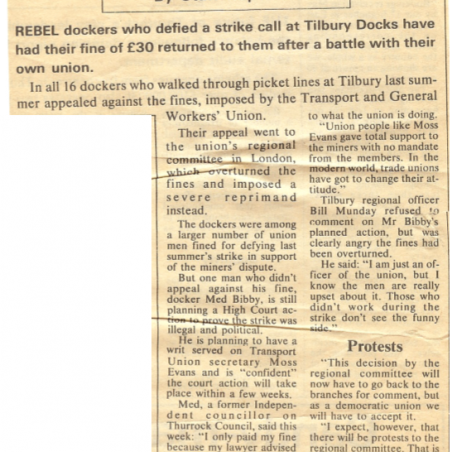 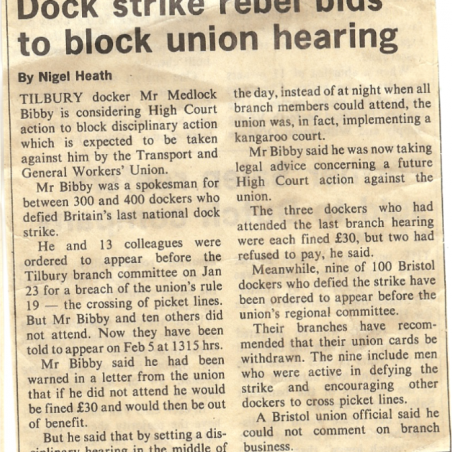 In 1984 Medlock Bibby was featured in the national media when he took on the mighty power of the Transport and General Workers Union and tried to keep Tilbury docks working. 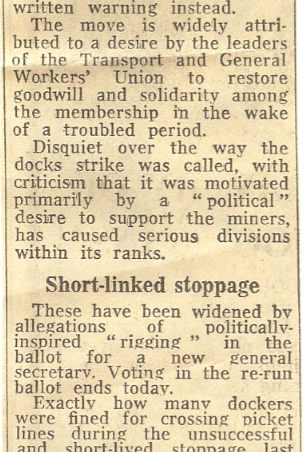 A ballot had been held in which local dockers were asked to support Arthur Scargill’s Miners’ Union. 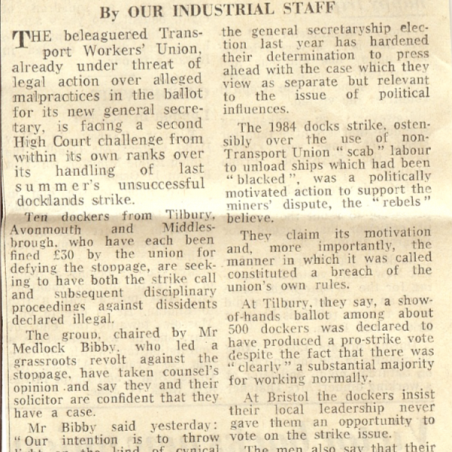 According to Medlock, the TGWU had not publicised the vote widely enough and local men were not given adequate opportunity to express their views about any potential strike action. 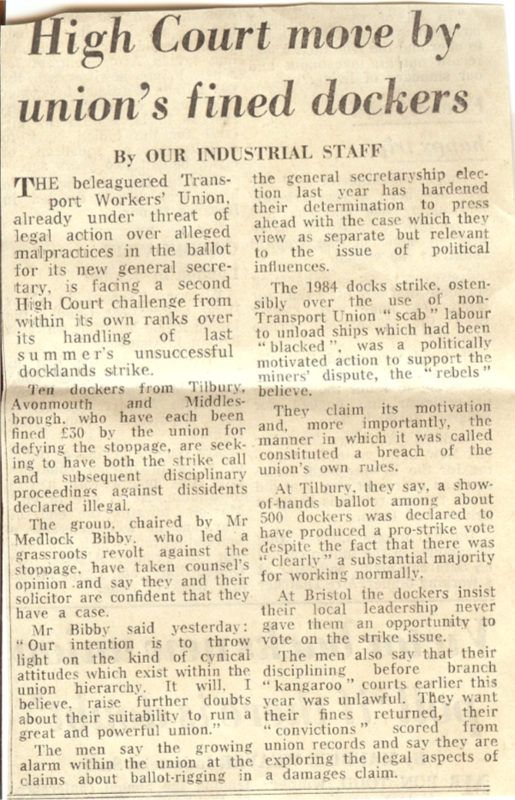 He argued that the union was in no way concerned about the harm this would do to Tilbury dockers and their families. 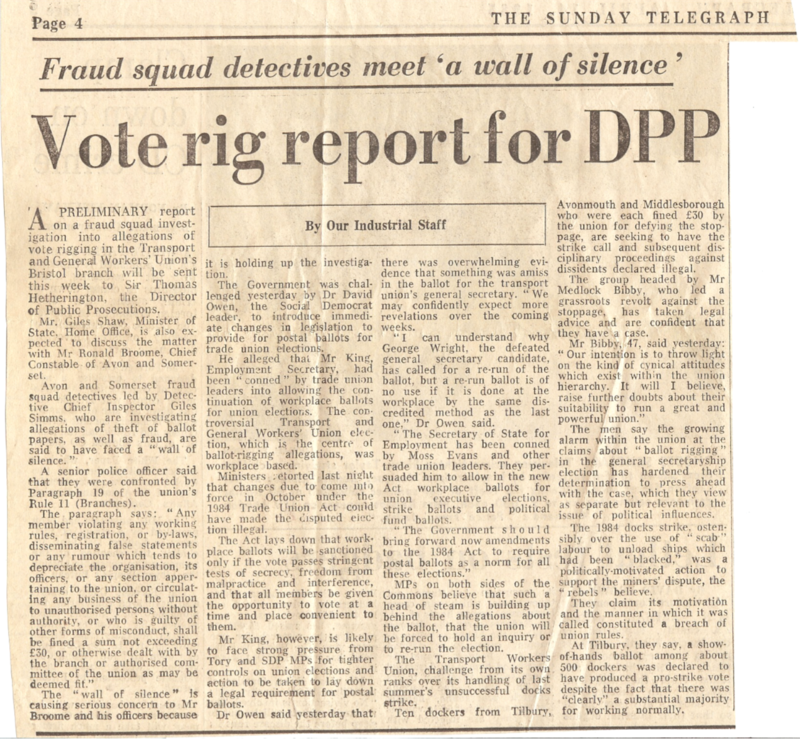 Standing up in the electrically charged atmosphere of a meeting, he demanded that he be heard and called for another ballot. 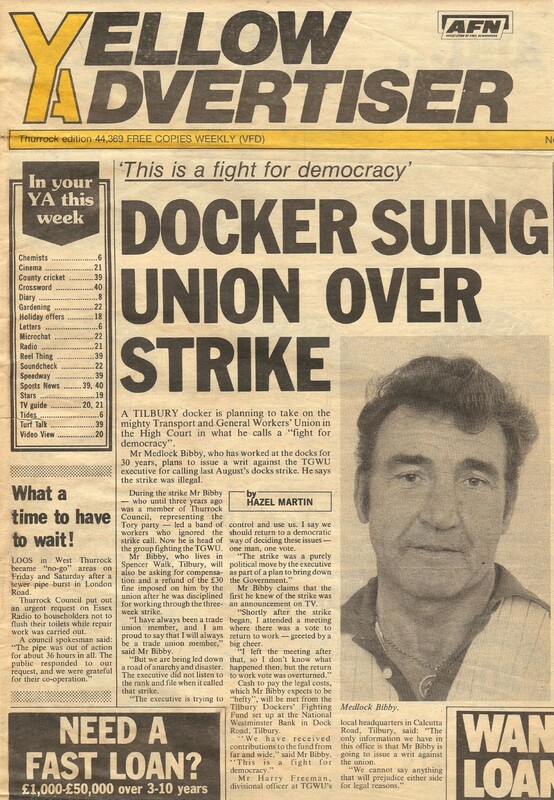 In the days that followed, he walked through a picket line in protest at this unconstitutional strike. 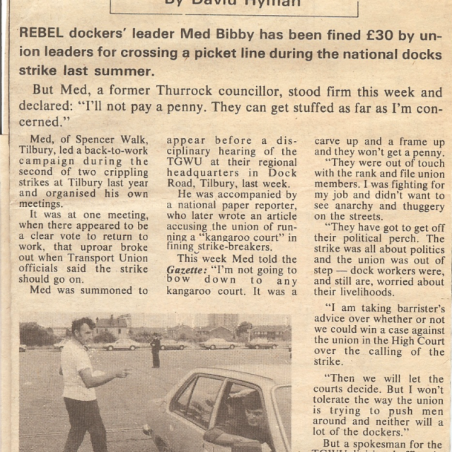 As a well-known local figure, he called on Essex men to question the validity of the strike and was influential in the return to work of 7000 dockers at Tilbury and around the country soon after. 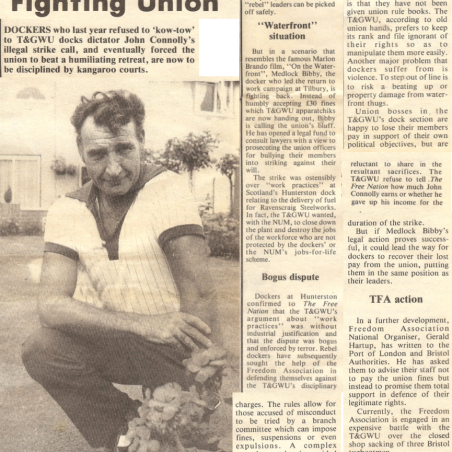 After the return to work he heard nothing from the union for five months. 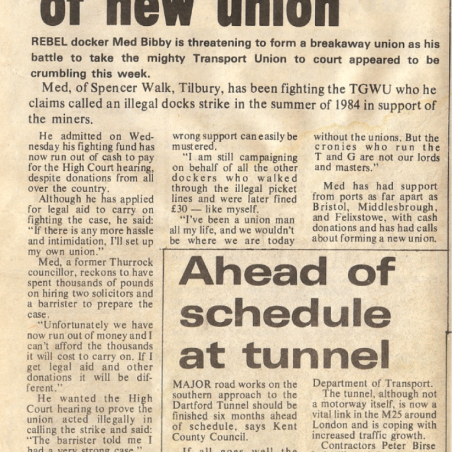 Then he received a summons to appear before a disciplinary hearing at the TGWU headquarters at Tilbury. 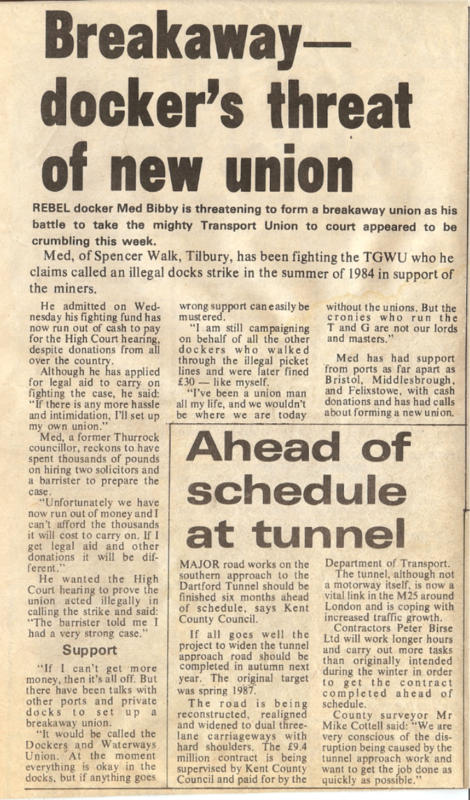 Medlock knew he would be in for a rough time. 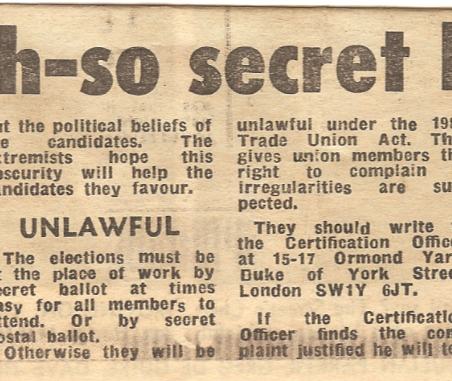 However, union rules said he was entitled to have a friend as a witness to the hearing, so Med contacted the Daily Mail. 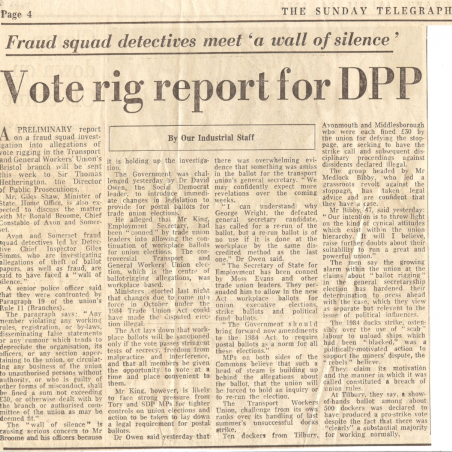 They sent an investigative journalist who attended undercover as Meds friend and witness. 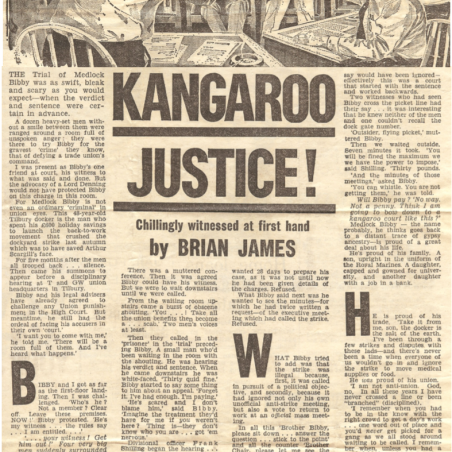 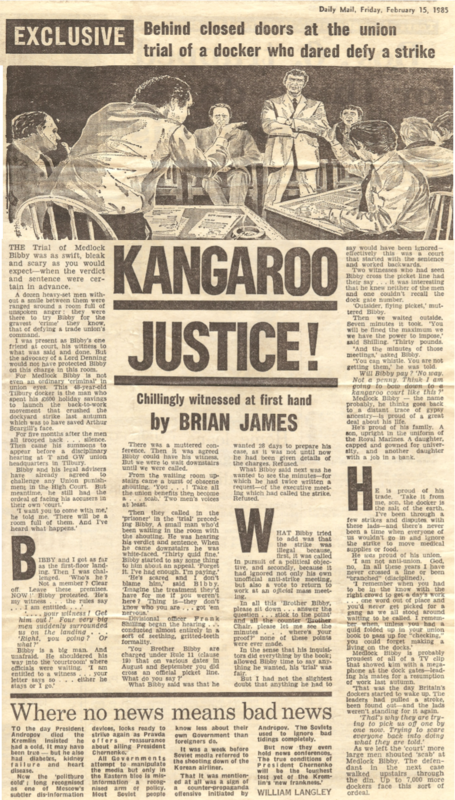 The Daily Mail newspaper cutting above entitled ‘Kangaroo Justice’ makes interesting reading. 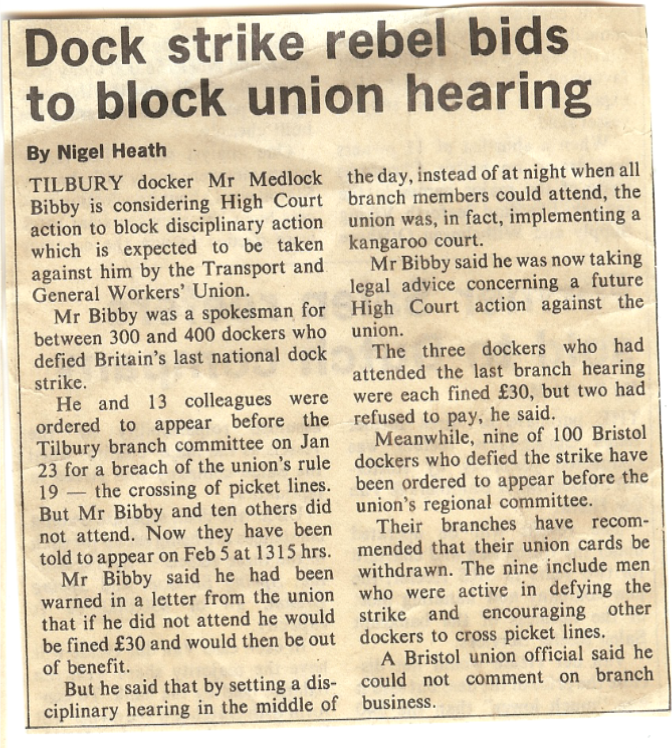 Medlock was fined £30, as were many other dockers throughout the country. 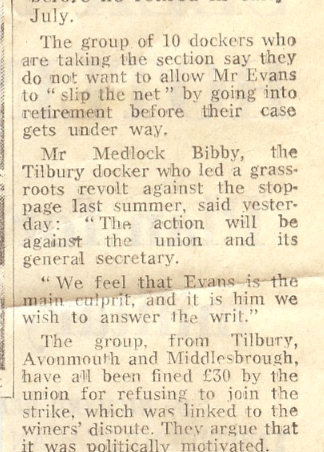 After this newspaper article he gained much support, not just from the UK but from America and elsewhere. 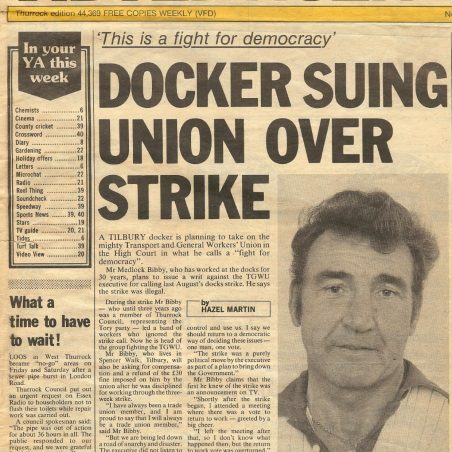 He threatened to take the TGWU to the High Court over the fines they had imposed and they backed down and refunded all the money the dockers had been forced to pay.